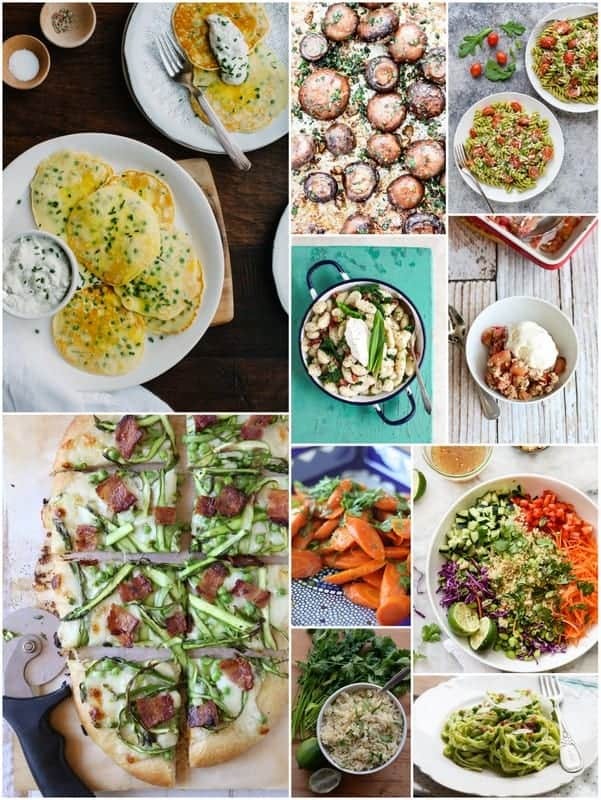 This month’s #eatseasonal post is a good one! 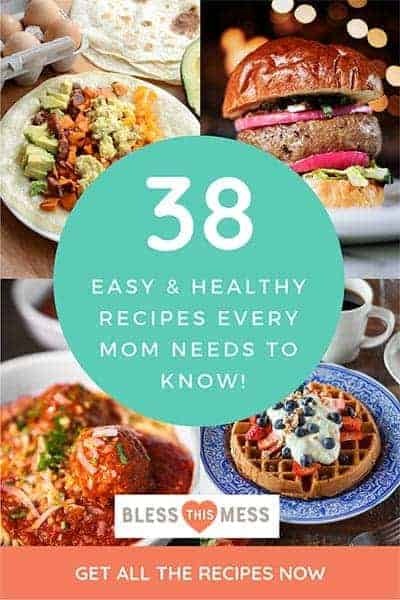 There are SO many delicious recipes brought to the table by some of my favorite bloggers, and I know you are going to love them too. My recipe is a Simple Santa Fe Rice with Cilantro and Garlic. Garlic and herbs are both abundant in the spring and the two are highlighted so nicely in this simple rice dish. You don’t have to use cilantro if you don’t want to. Basil, parsley, and oregano are all really good in this. The rice is so flavorful that you can serve it as a side or use it as a base for something like a burrito bowl or even to serve sautéed vegetables and a grilled piece of meat over. The best part? You can make it on the stove top or in the rice cooker! Thomas got me this rice cooker (Aroma 20-Cup (Cooked) Digital Rice Cooker) for my birthday and it is awesome (hello timer setting!). Don’t forget to check out the other recipes and enjoy this simple staple. If you try this Santa Fe rice, let me know what you think! Leave a comment, pin it, and don’t forget to tag a picture #blessthismesseat on Instagram. I love to see your kitchen skills in action! Combine the rice, broth, and slat in a large saucepan over med-high heat. Bring to a boil. Decrease the heat to simmer and add the lime juice, butter, cilantro, garlic, and cumin. Stir, cover, and simmer 15-20 minutes, until rice is tender. Toss everything in the rice cooker and let it cook until done. This recipes works great with brown rice, just adjust the amount of broth accordingly to have the proper amount of liquid for cooking brown rice. 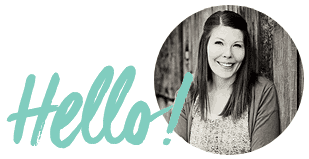 You can get all the details of what’s in season in May including a really handy list from Becky at the Vintage Mixer. Check out her post here. A rice cooker has been on my “to-buy” list for a long time now. I always mess up rice when I make it on the stove, because I’m usually not paying enough attention! 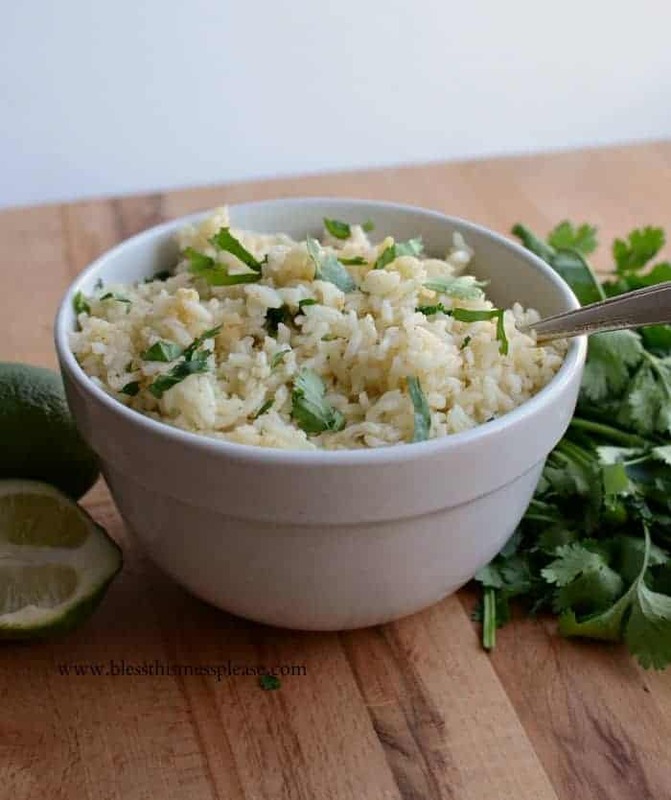 I am cilantro freak, so I know I’m going to love this rice! Fresh herbs make everything better, for sure, and this rice is something I know my family would love! I’m thinking it would be great tucked inside of fish tacos. I’m with Liz, I need a rice cooker!! I always love cilantro rice when we eat out for Mexican food so I don’t know why I haven’t made it at home. Glad to have your recipe now! There’s nothing better for us busy busys than a quick and flavorfilled recipe. I love steeping my rice in broth, so much added flavor! Fresh, simple sides like this are just the best. This would go with anything! Happy eat seasonal! Ha ha…was just writing up my shopping list for next week’s meals…decided to take a break and stop in to see what you have been up to…..guess I will scratch off the Spanish Rice-a-Roni and replace it with this recipe to go with the Enchiladas. Thanks Melissa!! And if you have a rice cooker this stuff makes itself!! So easy! Enjoy girl! I love your idea. It’s so simple, and looks so good. I think I would squeeze a wedge of fresh lime on top too. I’ll have to try this sometime. Thank you for your post, Melissa. but I don’t see the garlic! LOL, how did I miss that? Thank you for point it out, I corrected the recipe. 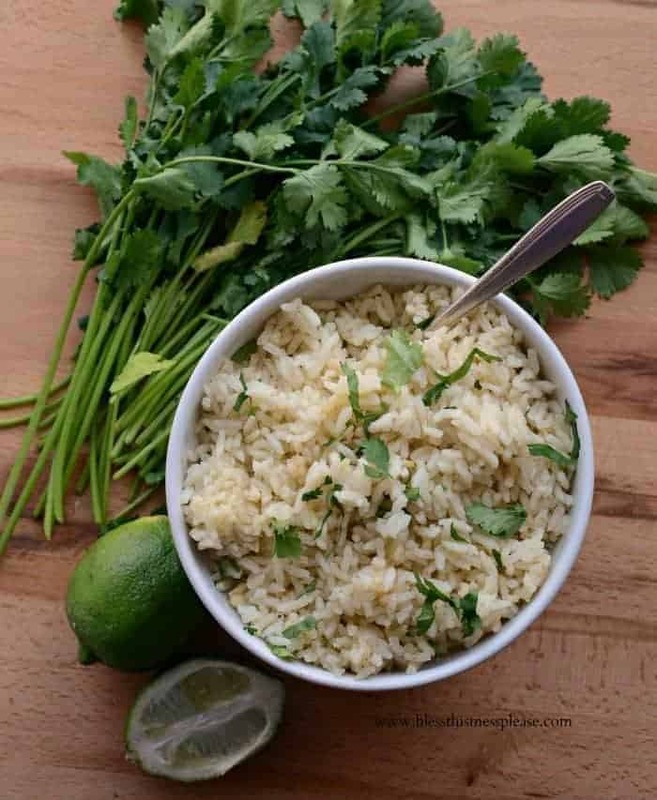 I love Santa Fe rice with cilantro and garlic recipe. I need to add tomatoes to recipe and it would be perfect. Thanks for sharing! I make this rice ALL THE TIME. It’s so good. But I just noticed it says 1/4 tablespoon cumin. I always put in 1/4 teaspoon, am I supposed to be using more?!! It was only recently that I have developed a taste for Santa Fe rice with cilantro and garlic when I made one myself. Thanks for sharing!